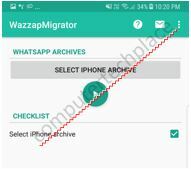 This is a follow up article on how to migrate iPhone content to Android, and this guide is on how to migrate Whatsapp Messages from iPhone to Android. If rice is the staple food of the living, then Whatsapp will be the digital staples that everyone needs. Whatsapp content is one of the most valuable item in the phone that you cannot afford to lose. There are tons of programs and software that claim that they are able to do the migration of Whatsapp messages for you. Initially I thought that the entire Whatsapp can be transferred by using the backup Whatsapp to the online storage option. This is only true if you are changing from a Android to Android or an iOS to an iOS. I realized that the cloud backup for Android only goes to Google Drive, as for iOS, the backup will go to iCloud, therefore, it is impossible for you to pick up your backup if you are doing a change of mobile platform totally. In this guide, I will show 2 ways on how to Migrate Whatsapp messages. One will be a free way which will only migrate the messages. The other one will be a paid software which is able to handle the entire Whatsapp database with every single media sent by Whatsapp ported across as it is linked to the message and not just copying the images over. I will be covering 2 software in this article. Wazzapmigrator : This app requires you to install the PC installer as well as the mobile version. Thus if you are to migrate from iPhone to Android, the costs of doing one migrate will equate to having to pay one copy for the iPhone, one copy for the Android and one copy for the PC. This does not sound like sound budgeting. I have to admit that I did not ask the developer if indeed I have to pay 3 times, however I looked at the Playstore and the Apps Store and I saw that it is an app that requires you to pay for it. Even the PC version comes with a price for the extra features. Thus in my guide I will only focus on being able to migrate Whatsapp by spending the minimum if needed. 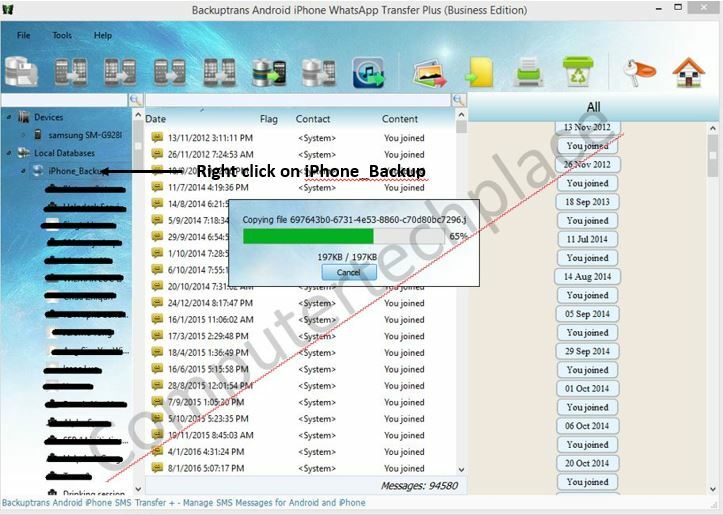 Backup Trans Android iPhone Whatsapp Transfer : This is a Windows software that has only one feature and that is to migrate Whatsapp across different devices, iOS to iOS or iOS to iPhone. It is not free, however if you find the free method and that is via the use of Wazzapmigrator too challenging, you can use this paid software instead. The advantage of using this software is that you can buy a copy of it knowing that you can use it going forward no matter what phone you decide to change to. Even though this is a paid software, I will say that that there will still be some technical involvement required out of the individual. So, if you are thinking that it is as simple as one click and walk away, nope. However, the good news is that you can get decent technical support out of this. Step 1 – Install iTunes and do a backup. The first step is to install iTunes and do a backup of your iPhone if you have not done so already. 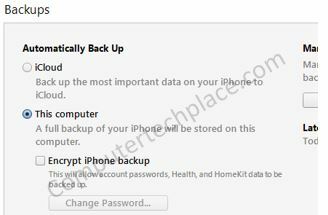 The most important thing of all is to ensure that you do a backup of your iPhone that is not encrypted. If you have encrypted it to begin with, you must know the password. Finding another PC will not help. 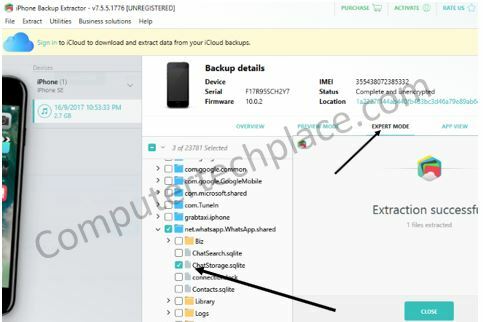 This iPhone Backup Extractor is not the Wazzapmigrator, it is actually a piece of software that we are going to use to extract the file that is the Whatsapp database. While the paid version allows you to extract much more, You can use the the program to extract anything using the Advance mode 5 times with the free version. Since you can only extract 5 times, exercise caution and not to end up extracting the wrong file. Anyway, since this is a free to install software without the need to register, if you are slightly tech, it won’t be too difficult to install a fresh Windows in another partition if you need to use this again, assuming that you are helping others and not just yourself. Once you have saved the Whatsapp file out, you will have to copy it over to the Android. Now, there will be a series of actions that you have to take or it will not work. Do not install Whatsapp yet, if you have installed Whatsapp, uninstall first. Install the Wazzapmigrator – if you do not wish to purchase, you can opt to download the apk by doing a Google search online. Launch the Wazzapmigrator and it will detect the Whatsapp database file that you have copied over to the Android phone. Simply tap on the green play button and the Wazzapmigrator will start the conversion of the Whatsapp database. The Wazzapmigrator is smart enough to decide what to do even if you have already installed Whatsapp before. Once the conversion is completed, you can install Whatsapp back onto your Android phone and it will ask you if you want to restore the backup, choose yes. At this point, you should have all your Whatsapp messages back. However, do take note that only the messages will be ported and not the media like images or video. You can still pull them across using the free SynciOS software that I have recommended in the previous guide, just that the content won’t be linked. There is a reason why I choose this app instead of other choices that claim to migrate everything including Whatsapp. This app is a piece of software that with just one job, and that is to migrate Whatsapp. And it does not offer a free version with limited features, which means if you decide to use it, you pay for it. So I expect it to work, and have support across future iPhone operating systems and do not give up. Anyway, most Whatsapp solutions require you to pay anyway. One of the reasons why I recommend this product is because of its capability to do a cross platform migration. Now, let me be clear, I am not a reseller of this product and neither do I get paid for writing this, and that is why I wrote a totally free solution at the start to being with. So if it does not work for you, I am sorry. Notice that there is a “unencrypted” being emphasized here. You will have to perform a backup that is unencrypted, so that the software can pick up the Whatsapp data. Please see the guide here via Apple’s website on how to do an unencrypted backup. At this point in time, you can simply unplug your iPhone as it will read the backup directly off the computer. You do not need your iPhone from this point onwards. Follow the guide here to disconnect your Whatsapp backup from Google Drive uninstall the Whatssapp and install the modified Whatsapp. For me, I found the guide a little different long based on my experience. What I did was listed as below. 1. Do a one time backup of the limited Whatsapp chats that I have to the Google Drive first via the Whatsapp settings if any assuming that I installed the Whatsapp and used it for a while. 2. After which, I will uninstall the Whatsapp and delete the Whatsapp folder, anyway, the customized Whatsapp that I am supposed to download and install will create the folder again, and taking into account that you have backed up whatever chats into Google Drive using step 1 or your Android is totally empty anyway. 4. I will recommend doing a restart of the phone before installing the customized Whatsapp by the vendor. 5. Install the customized Whatsapp – Note that this Whatsapp is totally fake even though you can activate your phone number with the Whatsapp server. The missed messages notification on the icon, they are all fake. Do not attempt to use this Whatsapp like the real Whatsapp after activating with Whatsapp servers as it will most likely crash. If it ends up crashing, you will probably have to re-do the uninstallation and re-installation of the Whatsapp. 6. The PC version of the Backuptrans will detect the phone (remember to tap on any prompts to allow the PC to talk to the phone), the PC will say do you wish to backup the Android, choose yes. I know this sounds strange, since there is nothing to backup. The whole idea is to allow the software to start a backup and restore process. 7. Note** If you get a prompt from the PC that there is a need to downgrade the Whatsapp software etc, allow it. Ensure that you already uninstalled the real Whatsapp and installed the custom Whatsapp apk and activated your phone number using with the custom Whatsapp apk from Backuptrans. 10. Right click on the iPhone database from the PC and choose transfer to Android. Now, just wait for everything to be transferred to the Android phone. 11. Tap on switch apps option and go back to the custom Whatsapp that we left it open just now. Go to Whatsapp Settings and choose Chats followed by Chat Backup. Set the Google Backup settings to none and tap Backup. 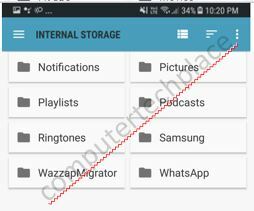 This will create one Whatsapp folder on the SD card or storage where in normal circumstances, you cannot see the Whatsapp folder. 12. Copy the whole Whatsapp folder out to the PC for safe keeping purposes. 13. Install the real Whatsapp from the Playstore and authenticate through the servers one more time. 14. This time, the Whatsapp will say that they have detected a local cache and do you wish to restore them, say yes. If you tap no by accident, uninstall Whatsapp and install again to get the prompt. 15. Wait for the Whatsapp to load all the messages and verify that they are indeed restored. The Google Drive backup will also be restored on its own concurrently as the local cache is being loaded up. 17. Once you feel that you are confident that all of your chats are in place, you can uninstall the Custom Whatsapp and get on with your normal life. 18. The chats will not be in as per “last communicated” You will find that the inactive chat groups may be listed at the top. But no worries, i think the chat groups are sorted in alphabetical order, but the threads are all in its real chronological order. Once your normal daily activity starts, the chat groups will start to move up the hierarchy and everything will be back to normal.